Who’s afraid of López Obrador? El Center for Strategic and International Studies es un think tank de Washington estrechamente ligado al Departamento de la Defensa, al Consejo Nacional de Seguridad y al Departamento de Estado de Estados Unidos, y sus puntos de vista normalmente reflejan los intereses estratégicos y de seguridad de ese país. Este artículo, fechado el 14 de agosto pero subido a las redes sociales a pocos días de que Enrique Peña Nieto rindiera su quinto informe de gobierno, es un sobrio y desapasionado análisis que contrasta con los esfuerzos del presidente de México por imbuir en la población el temor de un gobierno encabezado por Andrés Manuel López Obrador y por convencer al gobierno de Estados Unidos que un gobierno priísta, en tanto que aliado incondicional, es la mejor garantía para eliminar todo obstáculo a su hegemonía en el continente. Next July, Mexico may elect leftist Andrés Manuel López Obrador (AMLO) as its new president. Leading in early polls and buoyed by surprisingly good results in recent state elections, López Obrador faces a weakened ruling party that is viewed as corrupt and unable to maintain security. Other major parties are beset by infighting or irrelevance. A potential coalition of the anti-AMLO parties may be necessary, but not sufficient. Reactions to a possible López Obrador win range from fear and loathing by the Mexican middle class and private sector to shrugs of resignation from political insiders and long-time Mexico watchers. Some of these include former and current U.S. officials, who believe AMLO may be more pragmatic and less radical than he appears. In a May poll, López Obrador had the lead among potential presidential candidates, with about 28 percent support. 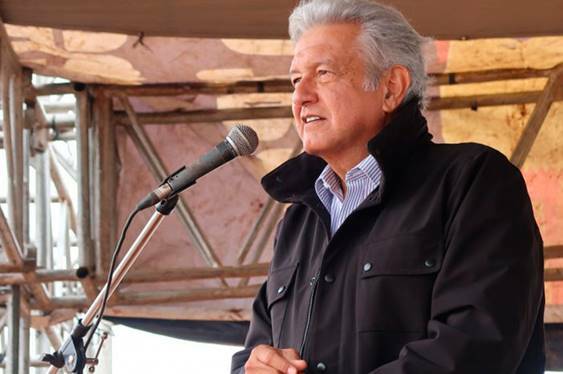 More importantly, in June the National Regeneration Movement (Morena)—AMLO’s personal party—came within 3 percent of beating the ruling Institutional Revolutionary Party (PRI) for the governorship of the state of Mexico, a seat the PRI has held since 1929. Most troubling for the PRI in that race was the collapse in support, from 60 percent in 2011 to 33 percent in 2017. Even worse, across the rest of the country, the PRI lost four governorships that it has held for 80 years. There are two main reasons to explain the PRI’s steep downward slide under President Enrique Peña Nieto: corruption and insecurity. Over the last three years, 10 of Mexico’s 32 state governors have been jailed or are under investigation for corruption. Eight of them hail from the PRI. The charges include money laundering, involvement with the cartels, and kickbacks for government contracts. Peña Nieto and his wife were beset by their own mini-scandal in 2014, involving use of a luxury home owned by a government contractor. According to anticorruption groups in Mexico, at least half a dozen impending corruption cases involving PRI officials are in the pipeline. The next shoes are already beginning to drop. On August 14, Mexicans Against Corruption and Impunity published copies of over $3 million in bank transfers from Brazilian construction giant Odebrecht to a top campaign official for Peña Nieto. President Enrique Peña Nieto – Toby Melville – WPA Pool /Getty ImagesOrganized crime violence under the PRI’s watch is now at its highest levels since 2011, which was the height of former president Felipe Calderon’s war against the cartels. Not a week goes by without lurid reports and pictures of corpses in the street, shot dead by narco-traffickers. “Ordinary” crime like robberies and kidnappings also has increased and is probably a greater factor in public dissatisfaction with the PRI than drug violence. Morena’s other main competitors are not well positioned for wins next year. The Party of Democratic Revolution (PRD), which AMLO led until 2014, picked up 18 percent in the state of Mexico. The National Action Party (PAN), which drew only 11 percent, has been weakened by an internal standoff between Margarita Zavala, the wife of former president Calderon, and Ricardo Anaya, the young party boss. The fear of AMLO has triggered coalition talk by the other parties. The PAN and PRD already have teamed up at the state level and jointly won four governorships in June. In early August, the current PRD mayor of Mexico City and the ex-presidents of the PRI and PAN discussed a grand coalition. This is not unprecedented, given that the three parties joined forces in 2013 to approve important constitutional reforms. The “Pact of Mexico” opened up Mexico’s energy sector and spurred fundamental changes in education and justice sector reform. One key difference: in 2013 the PRD had AMLO. There is always the chance that AMLO—by himself—could remind Mexicans why they have never trusted him with the presidency. López Obrador is at heart a populist authoritarian. (The PRI already is doing everything it can to paint AMLO as a Mexican Hugo Chávez.) If he reiterates his threats to undo energy reforms or scuttles the sensitive North American Free Trade Agreement (NAFTA) negotiations or embraces Venezuela, he could lead voters to settle for unappealing but safe choices. Or he could (uncharacteristically) maintain self-discipline and hammer away at the one message that is winning: everyone else is a crook. Some former and current U.S. officials warn against overreacting to an AMLO win next summer. Pointing to his successful tenure as mayor of Mexico City from 2000 to 2005, they privately say he is more pragmatic and less ideological than he portrays himself. With major issues like energy reform rapidly underway, and bilateral security cooperation with the United States on a firm institutional footing, these officials believe López Obrador will have less room to damage U.S. interests. López Obrador may turn out to be more along the lines of former Peruvian president Ollanta Humala, who took office as a certified friend of Chávez and ended up governing as a moderate. (AMLO is unlikely to pursue this analogy, given Humala’s jailing last month on money laundering charges.) Additionally, AMLO’s top economic adviser is a mainstream economist who fully supports NAFTA. The key wildcards are whether the NAFTA renegotiation is perceived as a loss for Mexico, and whether the White House brings rhetorical fire and fury down on all things Mexican. Either could trigger AMLO’s inner Fidel Castro. At less than 11 months out from the elections, Mexican voter anger is real, intense, and widespread. It is directed at a political establishment that is perceived as inept, unresponsive, and corrupt. This should come as no surprise to the Trump administration, which should start developing a strategy for dealing with a populist Mexican government. *Richard G. Miles is director of the U.S.-Mexico Futures Initiative and deputy director of the Americas Program at the Center for Strategic and International Studies in Washington, D.C.
Buen articulo. El establishment estadounidense debe entender que AMLO es el unico politico que puede ayudar a reminar con la vergonzante corrupcion e impinidad.